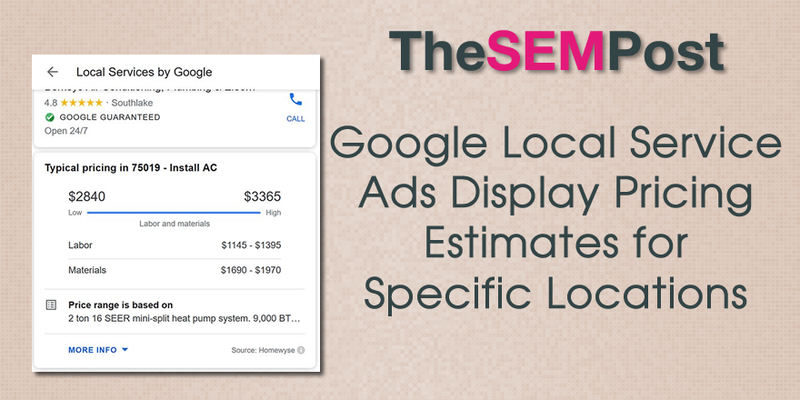 Google has added a new feature to their local services as, the special local ads that appear for searchers that are looking for a specific business type in their local area, to give estimates for specific jobs in their area. Tom Waddington shared a screenshot on Twitter. 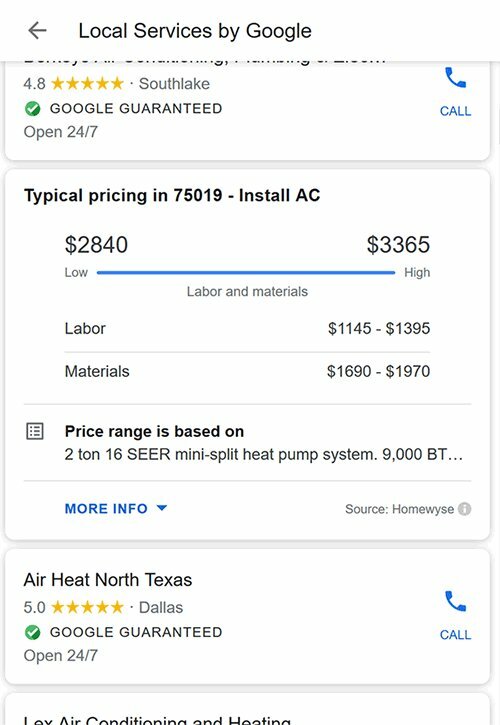 This is a great feature for searchers because there’s often the huge price or install differences between for the same service being done in one location over another. Homewyse appears to be supplying the estimate data for the specific jobs in locations. And it is getting as specific as what a job costs in a specific ZIP Code. So this is much more granular than even having pricing information for a specific city. It also breaks down costs versus labor as well. And it gives more details, which can be called upon, to show more specifics about the price. In this example, it specifically mentions about the type of air-conditioner being installed for the specific estimate. There’s also a drop-down for more information. This doesn’t appear to be connected to any specific local service ads, but rather as a card that displays within the list of businesses offering the service.